Joshua, 3 years old. 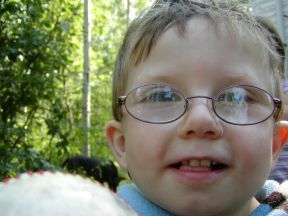 He wears glasses for strabismus and extreme farsightedness. Frames are Luxottica Memorize.